I do like this overall. Though as always, I’m indecisive as to what I’d ultimately have done to mine. I’m not sure that the black badges would look good on pearl paint. I’d stick the chrome center badge and leave the others off, and leave the wheels stock. 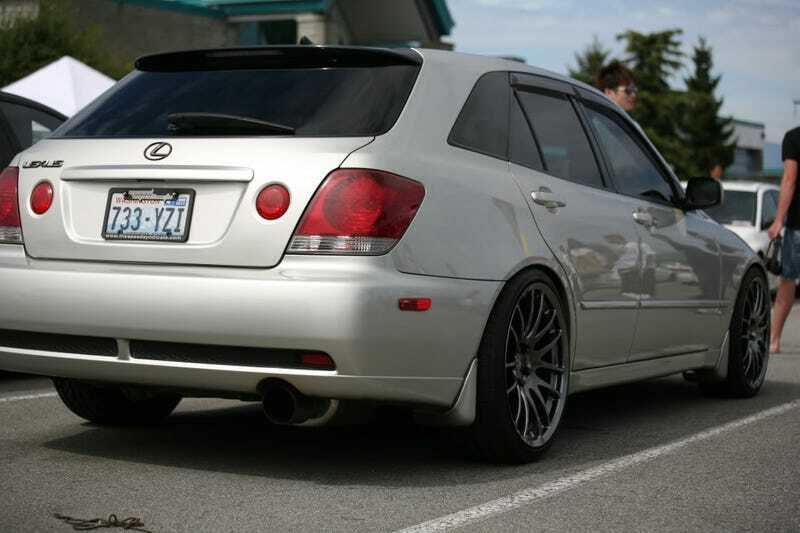 I really love the tail light red tint — “Altezza delete” — But would I actually go through with It? I have a certain fetish for keeping things as stock as possible, even if something is easily reversable. The window tint is definitely happening, maybe, probably. Ugh, today is the pits. I just wanna get home and drive my car!